My first full calendar year of blogging sure is a busy one. 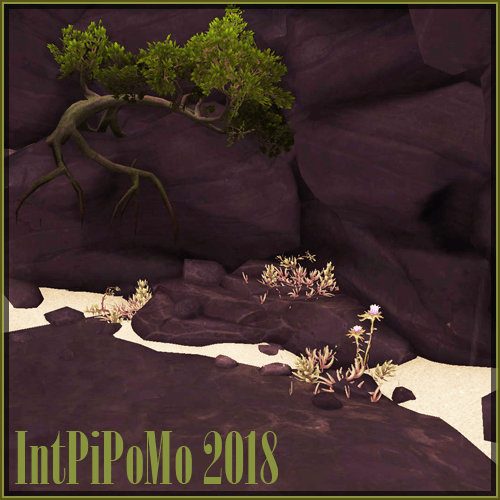 First there was Blaugust reborn, now International Picture Posting Month, or IntPiPoMo for short, has started. Chestnut over at Gamer Girl Confessions is again hosting the event, which has the goal of posting fifty images of one’s own creation during the month of November. These can be anything from photos to drawn pictures or game screenshots. As I’ve said before I’m a big screenshot buff, so I shouldn’t have a hard time picking 50 nice ones to share. I might even throw in a couple vacation pictures, who knows. So, yes, I’ve signed up to participate. Should you be interested to join in on the fun, here’s all you need to know. Thanks to Chestnut for hosting the event! I’m looking forward to see lots of great pictures, and also anxious to get home and start sifting through my archives.